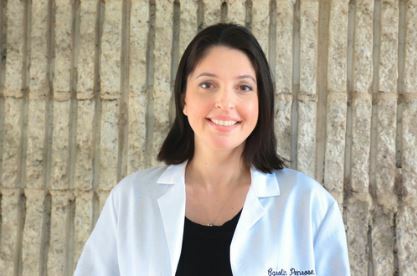 Dr. Carolin Suarez Penrose is a Board Certified Dermatologist that has been practicing on Staten Island since 2011. Dr. Penrose completed her undergraduate degree from the College of the Holy Cross and received her medical degree from New York Medical College in 2006, where she was inducted into Alpha Omega Alpha, the national medical honor society. Afterwards, she completed a residency in Dermatology at the Mount Sinai School of Medicine in New York City. She is currently a member of the American Academy of Dermatology and is an Assistant Clinical Professor in the Department of Dermatology at Mount Sinai. While training at Mount Sinai, Dr. Penrose also completed a Dermatopharmacology research fellowship investigating treatments for chronic skin diseases and has been published on a variety of topics including psoriasis, actinic keratosis, cutaneous tuberculosis, sarcoidosis, photodynamic therapy and Lyme disease. Dr. Penrose specializes in medical and cosmetic dermatology and performs a variety of cosmetic procedures including, laser surgery, Botox, dermal fillers and chemical peels. When Dr. Penrose is not working, she loves spending time with her three children and making delicious meals for her family. As a native Staten Islander, Dr. Penrose is proud to serve the adults and children of her local community.